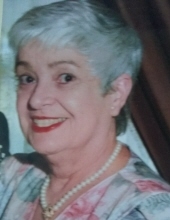 Mary L. Anhalt, age 88, of Munster, IN passed away on January 25, 2019. She is survived by her loving husband of 67 years, Jerome; devoted mother to: Mary Lynn (James), Donna (Chris), Ellen (Mark), Adam (Jennifer), and Steve; proud grandmother of: Danelle (Late Donald), Tiffany (Mark), Paul, Lisa (Jeff), Heather (Jeff), Jake (Holly), Kayla, Kelsey (Yancy), Robert, and Michael; and a great grandmother to: Nathan, Abigail, and Gianna. She was preceded in death by her parents: Alfred and Mary; and twin: Frank.. Visitation with the family will be on Friday February 1, 2019 from 4-8p.m. at Burns-Kish Funeral Home, 8415 Calumet Ave. Munster. A Mass of Christian Burial will be held on Saturday February 2, 2019 at 10:00 a.m. at St. Thomas More Church, 8501 Calumet Ave. Munster. Interment will be at Chapel Lawn memorial Gardens, Schererville, in). To send flowers or a remembrance gift to the family of Mary L. Anhalt, please visit our Tribute Store. "Email Address" would like to share the life celebration of Mary L. Anhalt. Click on the "link" to go to share a favorite memory or leave a condolence message for the family.